With a stretch of some of the most beautiful weather, visiting and local fishers are eager to get out on the water. 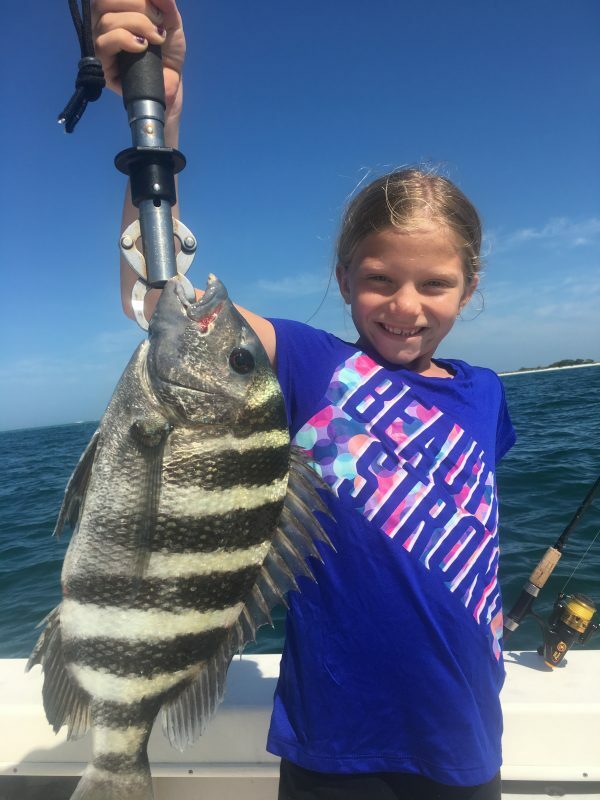 Fishing inshore around Anna Maria Island is producing decent numbers of sheepshead. Whether fishing around docks, piers, bridges or reefs and wrecks, sheepshead are the most abundant species. Using live shrimp as bait will suffice in most scenarios. If you find the sheepies being finicky, try catching some fiddler crabs or sand fleas and see if they work. If the sheepies are just not hungry, you’ll have to resort to digging up tube worms. They will convince even the most stubborn sheepshead to take the bait. But trust me, you’ll earn every worm you have, as they are labor intensive and hard to find. Redfish are another species that are being caught quite frequently around Anna Maria Island. Although they are catch-and-release until further notice from the FWC, they provide great action during these cooler months. Casting live shrimp in canals and around docks will attract these resilient fish to the hook. And while you’re targeting reds, there’s a good chance you’ll encounter some other species such as black drum, flounder and sheepshead. On my own Southernaire charters, I’m concentrating on catching sheepshead. Not only do these fish put up a good fight, but they are also excellent to eat. Most of the sheepies I’m catching are being taken from reefs and wrecks. I’m also catching some around residential docks when I’m targeting catch-and-release redfish. Live shrimp seem to work fine as bait on days when the sheepies are in feeding mode. On days when they seem to be on siesta, a fiddler crabs adds enough enticements to the hook for them to bite. Dock fishing for catch-and-release redfish is producing action for my clients. Some mornings are yielding as many as a couple dozen reds. Mixed in with the redfish bite are black drum, sheepies and an occasional flounder. Tripletail are also present at these depths and are being caught around floating debris.